"How then will they call on him in whom they have not believed? How are they to believe in him of whom they haven't heard? And how are they to hear without someone preaching?" 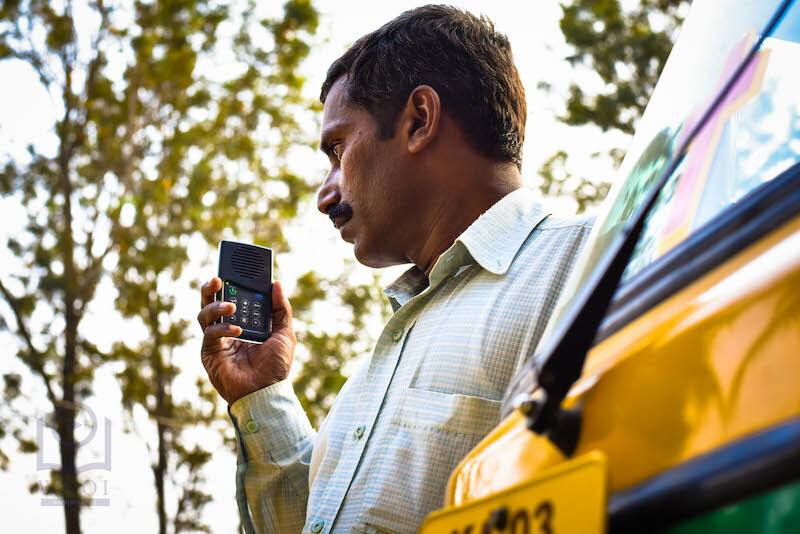 Many pastors in India who work in rural areas are mostly self trained. The Messenger players that were given to us by Dr. Charles Stanley's InTouch ministries contains sermons by Dr.Charles Stanley that has been translated and recorded in all major languages. Watch a short clip about how this Pastor found it very difficult to read after he lost his eyesight in an accident. He suddenly had to depend on some one to read the Bible out for him. 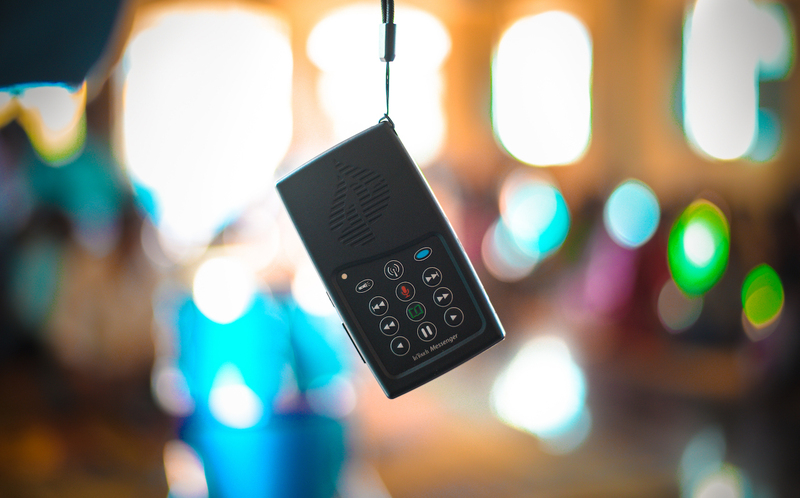 The Audio Bible is now helping him in his ministry. 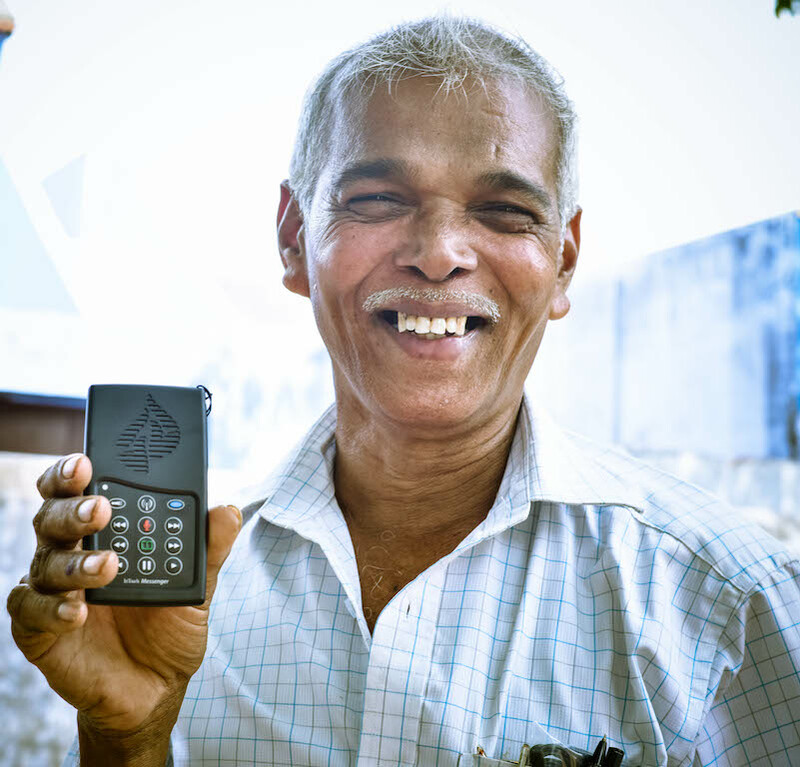 He is now able to hear God's word in Audio any time anywhere. This was an answer to his prayers. Many like this pastor still wait to hear God's word in Audio. While visiting the Pastor's home over lunch we casually asked him as to how long does it take for electricity to come back after a power cut. He told us that it had been more than 3 months since they have had electricity in their village. He went on to tell us how much these solar powered audio Bibles would help people especially when it is dark. As we walked back to our vehicle from the distribution, we literally heard the audio bible being played in every small house with the family sitting around. It was such a beautiful sight. I met one of these drivers and asked them if the Audio Bible we distribute will be useful for them. His eyes lit up and he was so happy. He said "Brother, nothing will make us happier, we can listen to God's word when we drive and we can make our passengers listen to it as well. I am sure if even one verse from the Bible can go in it will change lives. Please come and give us these Bibles." 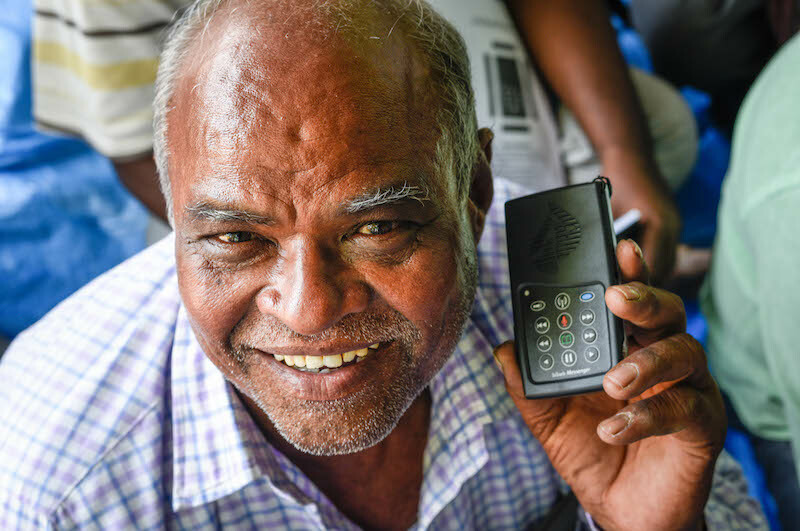 WCOI recently partnered with Dr. Charles Stanley's InTouch ministries to distribute InTouch Messenger players in India. 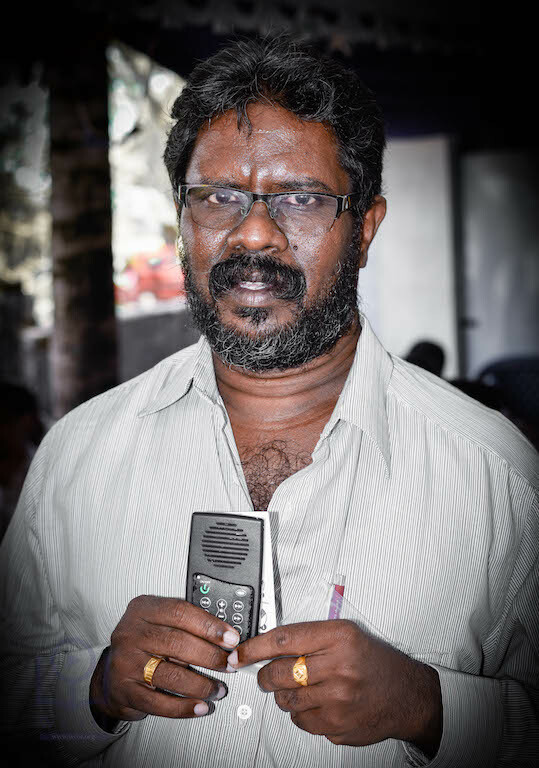 Last October we started our InTouch Messenger distribution among Pastors in Tamil Nadu, India. WCOI also had a wonderful distribution in Kakinada -Andhra Pradesh, among Telugu speaking visually challenged people. This distribution was conducted by WCOI with the help of local christian leaders working in that area among the visually challenged. 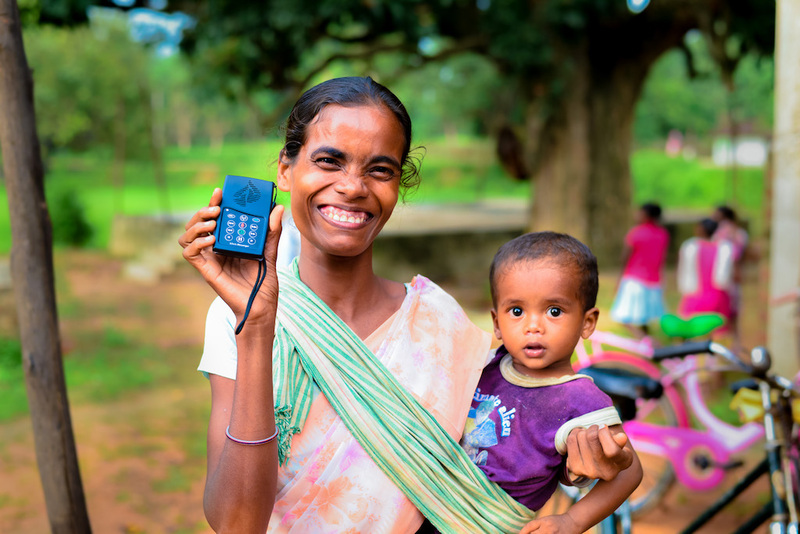 WCOI recently partnered with Dr. Charles Stanley’s InTouch ministries to distribute InTouch Messenger players in India. Read More About InTouch Messenger’s are here! 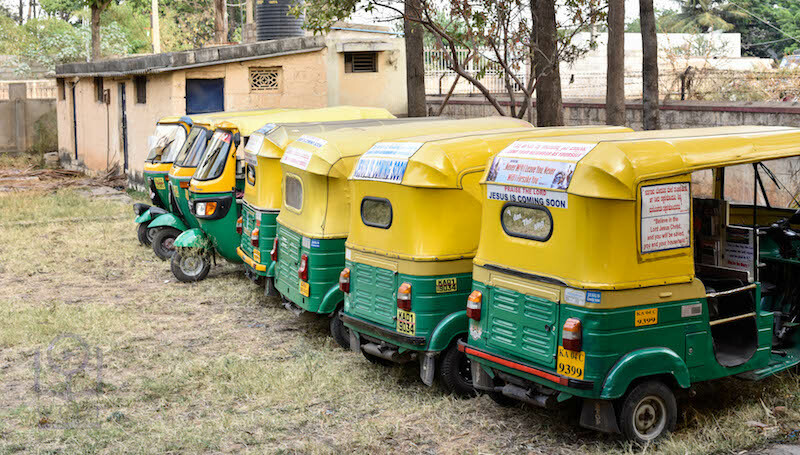 If you live in Bangalore, you would understand how much we in this city rely on these Auto Rickshaws, and at the same time how much we would like to avoid them if we could. However, the Auto Drivers we met wanted to make a difference. All of these drivers know the Lord and are passionate to use their vehicles to serve him. "You have fulfilled my dream." Read More About "You have fulfilled my dream."